Over the last few years we've transformed several areas of our garden into wildlife zones. We've created mini meadows, a butterfly garden from reclaimed materials, & hedgehog habitats. 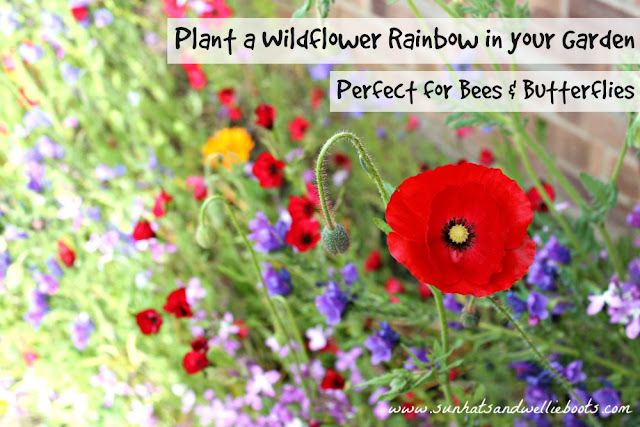 Last year we planted a Wildflower Rainbow, & the beauty of this project is that it can be created in any space & will produce the most glorious colours for you & neighbouring bees & butterflies to enjoy. 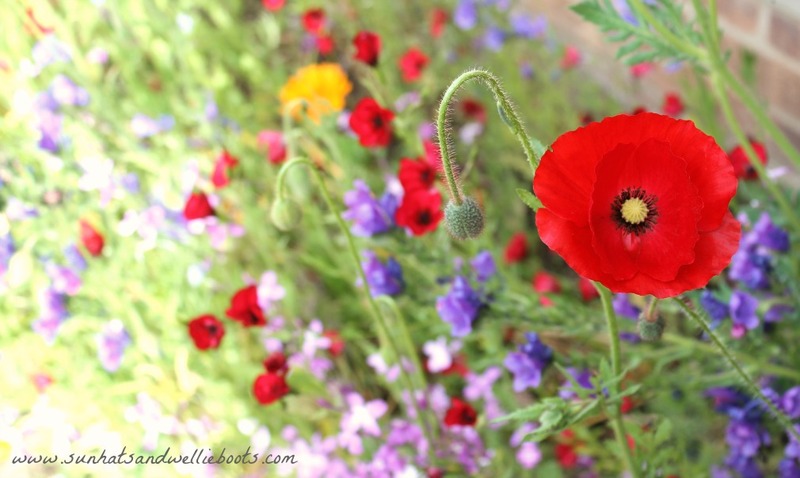 Instead of having a very neat & formal flowerbed underneath our living room window we decided to go wild & use this space to grow our Wildflower Rainbow. 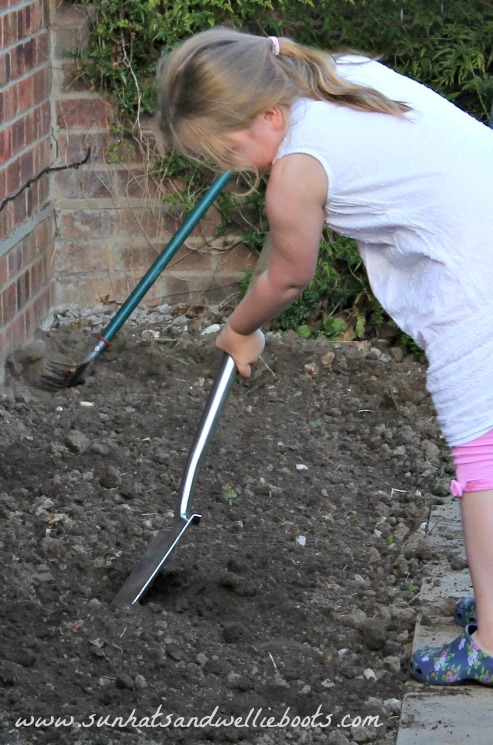 After carefully digging over the soil we sprinkled over our selection of seeds. We planted a variety of seeds in order to create our rainbow colours including; cornflowers, marigolds, chamomile, borag, red campion, scabious all of which we knew would benefit bees & butterflies. 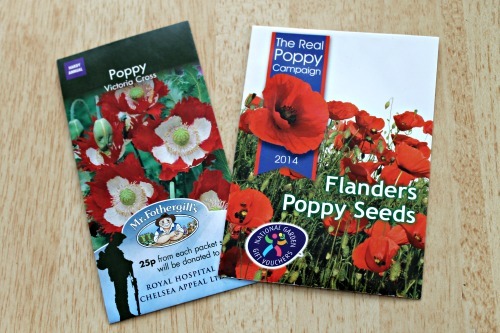 Alongside these we used a couple of packets of mixed seeds (a wildflower garden mix & mixed native seeds) as well as some special poppies (the Victoria Cross Poppy & Flanders Poppy Seeds) both commemorating WW1. 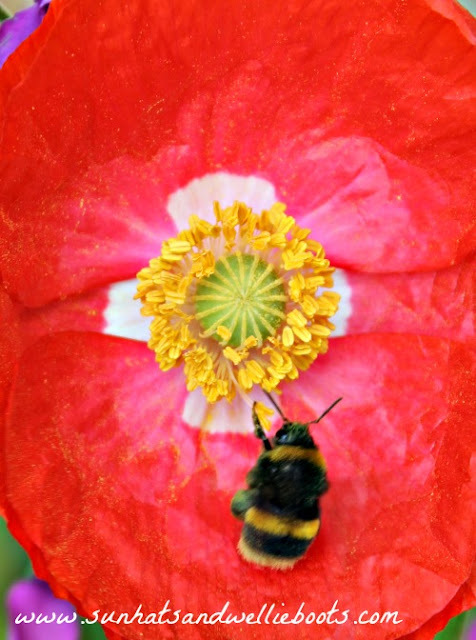 If you're unsure of which seeds to plant to attract bees & butterflies check out this perfect for pollinators list from the RHS, or look for packets of wildflower seeds that have a label indicating they attract wildlife. Once all the seeds were sown we gave them all a good water & left nature to it. We planted these seeds at the beginning of September last year & by May this year they were flourishing beautifully! If you would like a Wildflower Rainbow in your garden this Summer there is still just enough time if you plant those seeds now. We've been enjoying the jewel-like colours daily, & Minnie has been eagerly spotting the new plants as they appear, estimating & predicting when the budding flower heads will burst open. 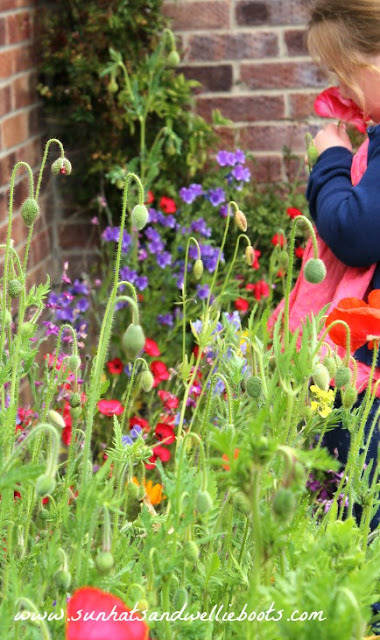 In another small area of our garden we have a 'grow your own' patch with strawberries, raspberries, herbs, & a small selection of veg, & we've recently noticed how many bees have been buzzing around & collecting the pollen from the flowering plants. 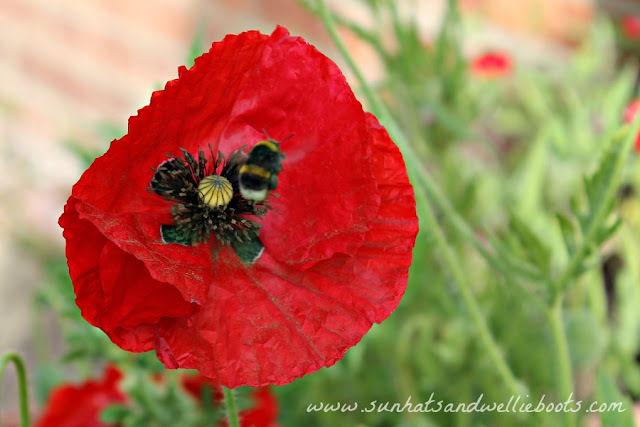 It's been great to see the different areas of the garden being used by the bees & observing the variety of pollen the different plants produce. A clear favourite for the bees in our Wildflower Rainbow has been the borag, but they have been frequently visiting our poppies too, often visibly covered in the flower pollen. This Wildflower Rainbow has also provided us with a tranquil space where we just stop what we're doing & observe the bees & other wildlife enjoying the plants. It's offered us a place to pause in the business of a day to just stop & appreciate what nature offers. You can check out how bee friendly your garden is by using the bee kind tool set up by The Bumblebee Conservation Trust. 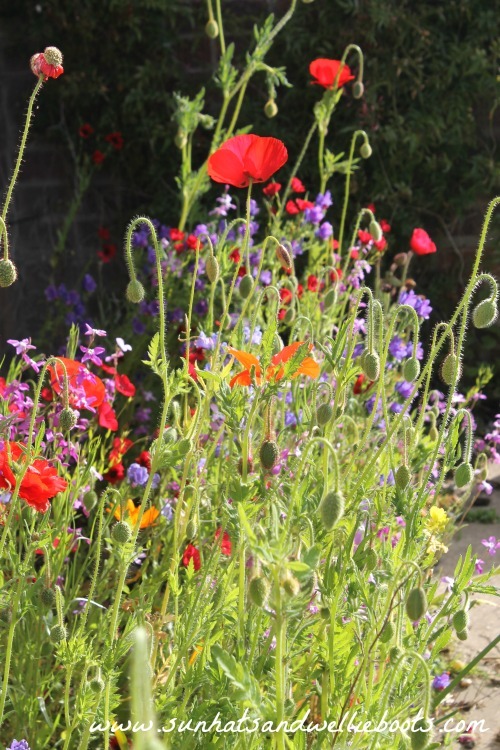 If you'd like to plant a Wildflower Rainbow but have limited outdoor space, why not plant a smaller version in a flower pot or some small tubs, the bees are sure to appreciate them. 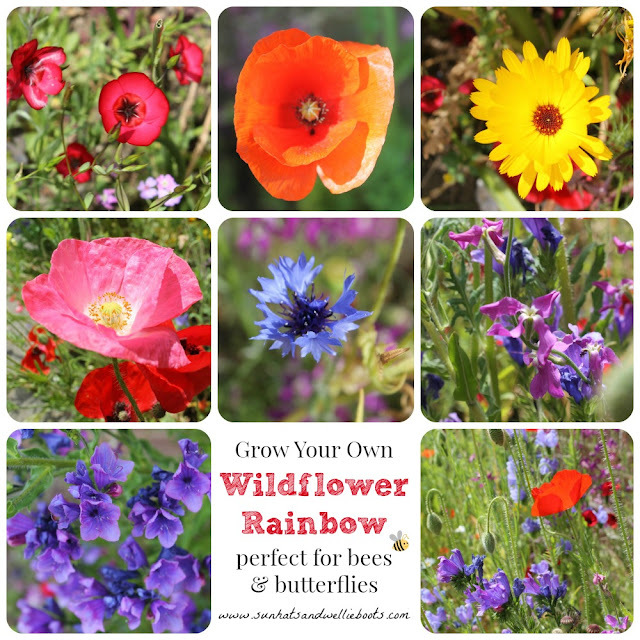 Wherever you grow your Wildflower Rainbow, I hope you enjoy it as much as we've enjoyed ours.